Are you looking for a Master program that perfectly prepares you for managerial positions at top international companies or consultancies? Or do you dream of starting your own company and living out your own success story? The Master in Management Program at HHL will open doors to completely new career opportunities, tailored to your aspirations! At HHL not only will you receive a degree from one of the most renowned business schools in Europe, but you’ll also boost your career to new levels. The redesigned Master in Management program will make you more innovative, more responsible, and more successful as a future leader. It will equip you with the necessary tools to navigate and excel in the fast-changing, increasingly digital and ever more globalized world of the future. We invite you to join our exclusive, tight-knit, international community with an innovative, success-driven and entrepreneurial mindset! A Master program that pays off! McKinsey & Company, Boston Consulting Group, Bain & Company, HSBC, Deutsche Bank, Dr. Oetker, Roland Berger or Amazon: Countless renowned companies frequently recruit on our campus. Our Master in Management program will launch your career towards new horizons: job offers start pouring in even before graduation! With an average starting salary of EUR 69,000, your investment in our Master program will definitely pay off! Your management career is in good hands! From personal development to professional career planning: our career development team will support you with tailored advice, personal coaching, workshops and recruiting events with renowned companies. You are never just a number to us. Our services are marked with that personal touch and the extra mile we’ll go to support our students. And this support does not end when you graduate; we are here for you for the rest of your career! HHL’s Career Development ranks in the top five globally! This is no coincidence, as our exceptionally qualified and highly committed team of experts support your career strategy from day one. We will help you identify your strengths, develop your skills and systematically focus on reaching your professional goals. From admission through graduation, we pave the way for your success through our individual coaching, our extensive network and our exceptional recruiting events. And our Career Development and your access to our network will continue to serve you for the rest of your life! combine three majors probably reflects best how much the academic profile of HHL allows students to tailor their general management toolkit. In my view, this is an outstanding asset for a generalist consulting path. Further, the course formats at HHL gave me the chance to learn how to structure problems under time pressure, handle multiple assignments at the same time and how to effectively work in teams. It may be stressful at times, but I could understand how I prefer to work in these situations and how to build resilience. time getting to know other people and cultures. This also prepared me for my career to work in a way that transcends geographic and cultural boundaries. on several projects simultaneously enhanced my organizational skills, time management and stress resistance significantly. HHL definitely provided me with the toolset to master the upcoming challenges. One of the many reasons why I chose to study at HHL is its excellent career service. You receive great support in preparing your application documents and valuable training for job interviews. Furthermore, every [readmore] year there are about 30 company events at HHL, at which HHL alumni and other high-ranked company representatives present their field of work, conduct a workshop and tell you in a relaxed atmosphere over food and drinks what working for their company is really like. Your personal aspirations are at the center of the entire program – from the content to the practical experience. Thanks to the flexibility of the Master in Management program at HHL, it can be adapted to your individual career path. You decide whether to complete the program in 21 or 24 months. You select the focus of the program according to your personal and professional interests. You choose how to shape your practical experience. Your studies at HHL will equip you with all the tools to become a responsible and effective leader and manager – be it in an international company, reputable consultancy, or an innovative startup. In addition to leading you to a deepened understanding of state-of-the-art business management concepts, our M.Sc. program will also strengthen the skills that will ensure your success in management in the digital and fast-paced future. Digital skills, creativity, problem-solving skills, perseverance, leadership and intercultural management; these are just a few of the skills that empower HHL graduates to drive innovation and to take the risks necessary to manage successfully in the rapidly changing business landscape. At HHL your personal growth is at the center because we believe this is fundamental for professional advancement. You will be challenged on all levels to reach your true potential. The full-time Master’s program consists of four elements designed to educate and train innovative, responsible, and successful future leaders: The Welcome Weeks, General Management Essentials, General Management Competencies, and the General Management Deep-Dives. 1. Welcome weeks: Where your HHL adventure starts! The Welcome Weeks offer a dive into the HHL spirit. Through a range of intercultural team-building activities, you will embark on your unforgettable HHL adventure. You will get to know classmates from all of our programs and from all corners of the world and lay the foundation for a powerful network that will support you not only through your studies, but far beyond. Refresher courses on business management fundamentals will also ease you into the program, and an initial introduction to the Leipzig Leadership Model will begin your transformation into the future leader of your aspirations. M.Sc. program’s highlights. You will deal with an integrated case offering an in-depth and interdisciplinary experience of real-life problem-solving, drawing on perspectives that span many facets of business. digital world? How can we find innovative solutions to the increasingly complex problems of today’s world? What are the most effective ways of negotiating in intercultural settings? Prepare yourself for brand new perspectives on such crucial questions within this pillar. You will learn how to reach your own potential so you can successfully lead others and make an impact. entrepreneurship, we awaken and strengthen the entrepreneurial spirit and know-how in our students. This will empower you to drive innovation and to take the necessary risks to successfully manage the rapidly changing business landscape. You will become proficient at data literacy and databases, explore new, digital and creative business models, and actively engage with the disruptive technologies that are shaping today’s market, such as A.I., robotics, Blockchain and the IoT. 3. 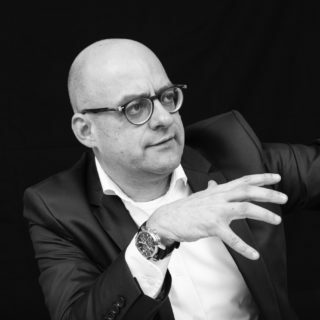 General Management Competencies: Practical experience at its best! real-life strategic challenges. This includes working in a variety of intercultural teams and presenting your results to executives and managing directors – situations you prepare for in the program. we offer you the opportunity to gain practical insights into new sectors and diverse corporate cultures. This is your chance to gain new perspectives, contacts and experience according to your own unique career goals. term abroad at one of our 135 partner universities in Europe, Asia, Oceania or the Americas. This international experience is your opportunity for personal development and for establishing a global network that will accompany you through your career. With the Master in Management at HHL you are always one step ahead. 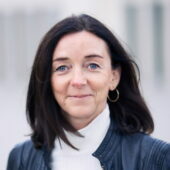 The HHL professors who accompany and support you throughout your studies are respected experts in their fields and conduct cutting-edge research, often in collaboration with leading German and international partners. The latest research results are immediately incorporated into our Master in Management lectures, so that the state-of-the-art management knowledge is always in our curriculum. many of our successful alumni return to the campus as guest lecturers, to share their invaluable practical experience with the next HHL generation and to advise them with insider tips for career advancement. business and science regularly teach M.Sc. 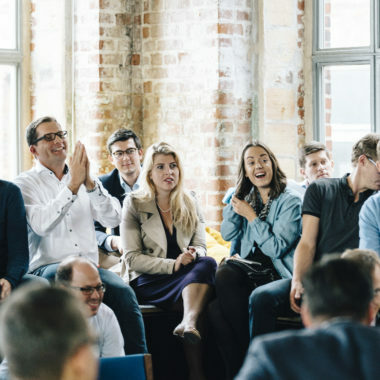 classes as visiting lecturers, including successful entrepreneurs, leading consultants, experienced executives and innovators from the startup world. 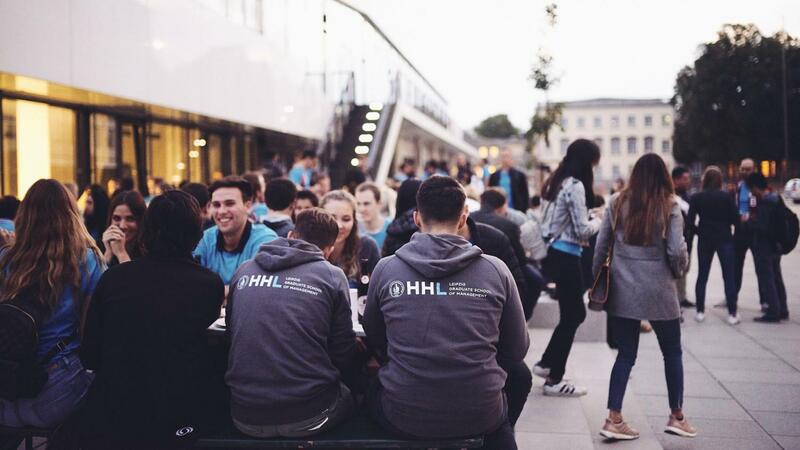 When it comes to entrepreneurship, HHL takes the lead – among business schools and across Europe. 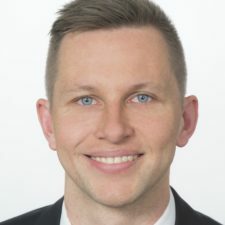 With Trivago, About You, Delivery Hero and Auto1Group, HHL alumni started four of Germany’s Unicorns (startups valued at more than one billion US dollars). As a small university with global reach, we prioritize both the individual development of the entrepreneurial spirit and the collective strengthening of an international network. At HHL we live and breathe entrepreneurship. 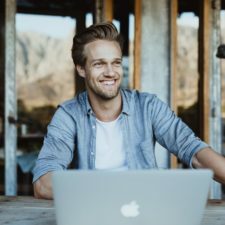 You can’t learn how to think like an entrepreneur, how to feel if a business idea has potential, or how to have the courage and power to take risks out of a textbook. Our approach is practical, and that is how we breed success; HHL’s alumni have founded over 280 startups, creating more than 10,000 jobs! We help people to develop into responsible General Managers with an entrepreneurial mindset and leadership capabilities. 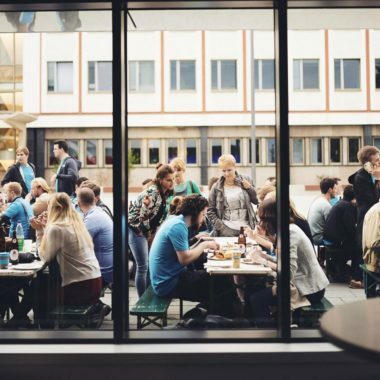 A modern accelerator and co-working space in the middle of the Leipziger Baumwollspinnerei, Leipzig’s creative heart, provides aspiring entrepreneurs with resources, partners and support to develop their ideas. 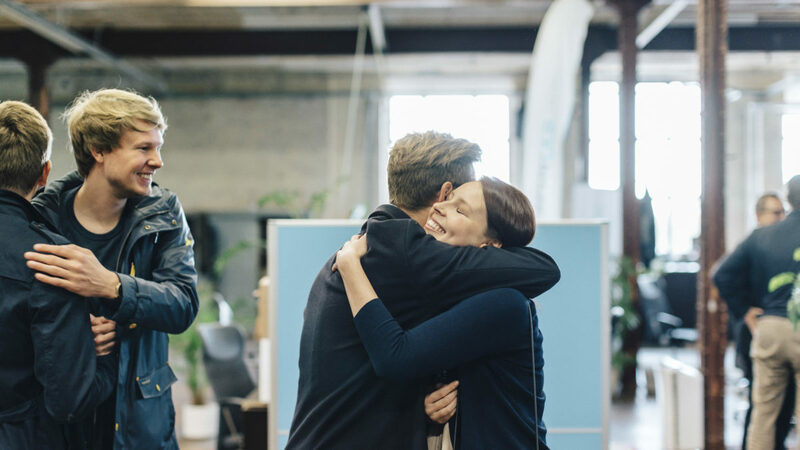 Successful entrepreneurs, potential investors, highly engaged coaches and experienced mentors supplement the know-how gained during the program by advising, supporting and establishing the right contacts for your startup dream to take off. 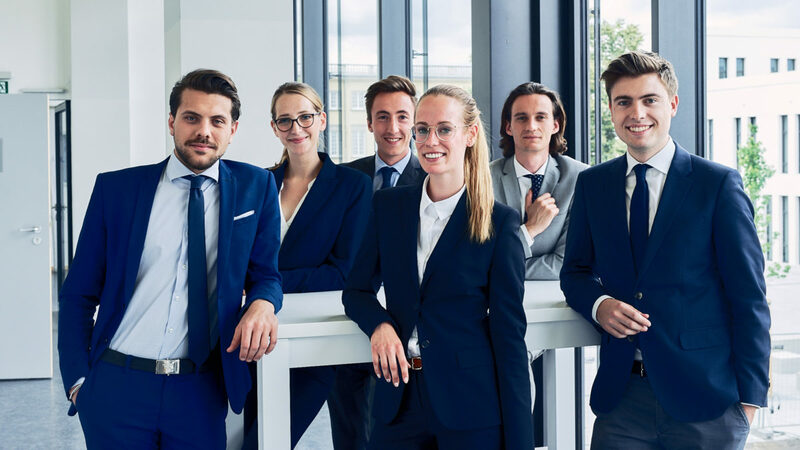 On April 12, 2019, you will get the chance to feel what it’s like to be a student of one of the best business schools in Germany. We will open our doors for the Get the spirit@HHL Campus Day. Your learning experience at HHL goes far beyond sitting in the classroom and discussing theories. You will have the opportunity to put your skills to the test, going into the field to gain practical experience, challenging your perspectives, taking risks and daring to fail and coming out stronger for it. 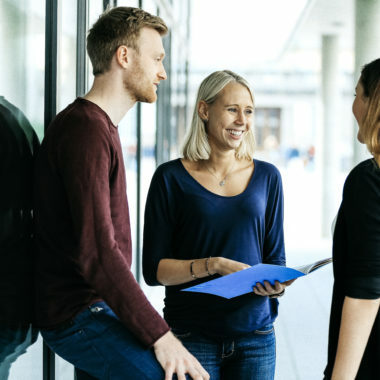 Through a range of modalities, HHL’s Master in Management students can interact and work with prominent companies and innovative startups, including Allianz, Bosch, Coca-Cola, Henkel, Daimler, Mister Spex and many more! Student consulting project: Walk in the shoes of a consultant! This is a once-in-a-lifetime opportunity to experience what it’s like to be a consultant. Your challenge is to collaborate in a team of four to six students to advise and support a company in solving a real-life problem. Working closely with both company representatives and HHL faculty, you will learn first-hand what it means to initiate real change. 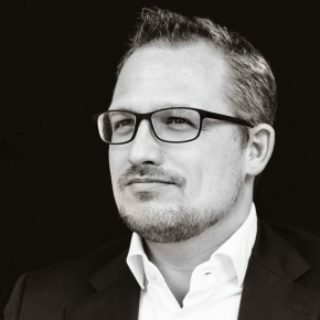 offering a win-win result for all parties: The company Porsche and the students of HHL. We all shared our stories, practices and skills to reveal fresh ideas for new products, services and consumer experiences. backgrounds are complemented by a sophisticated HHL study program. We at Roland Berger are looking for special characters – and we find them at HHL. Would you like to gain consulting experience to help your next application stand out? Would you like a behind-the-scenes sneak-peek of an HHL startup? Or would you rather leave a mark by working on a social impact project? An internship at a company, consultancy, startup or organization of your choice is an integral part of your Master’s studies at HHL. 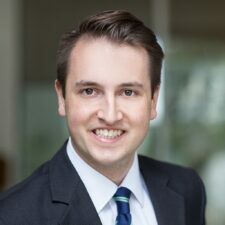 This internship not only helps you build your portfolio, but also allows you to broaden your horizons and discover what sector and company culture you will flourish in after receiving your Master’s degree! The world is your oyster at HHL! International competencies are essential for successful managers, consultants, entrepreneurs and executives in an increasingly globalized world. This is why HHL prioritizes maintaining global partnerships. Whether it’s New York, Paris, Moscow, Stockholm, Singapore, Hong Kong or Sydney; a term abroad at one of our 135 global partner universities will give you an exciting change of perspective. The HHL team will guide you before, during and after your term abroad. 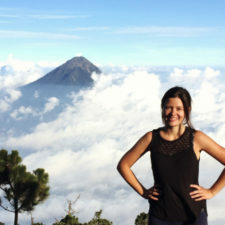 Take advantage of this unique opportunity to explore new countries and new cultures and to expand your own international network. One more option for you: An additional degree from one of HHL’s partner universities! Aside from your term abroad, you have the option of receiving an additional degree from one of our global network of partner universities. Don’t worry, there’s no need to decide on your international options just yet! And of course, your HHL team is here to support you! HHL is a small and tight-knit community of students, alumni, staff and professors from around the world. At HHL you can always approach our highly engaged faculty and staff members. We are happy to lend an ear and support you in any way we can. After all, your success is our success. We actively live up to it and make sure that our students and alumni do too! HHL Alumni: Friends for life! Graduating from HHL not only gives you a degree from one of Germany’s best business schools, but it also means lifelong access to a first-class network of successful entrepreneurs, leading international managers, key players in the startup scene and top-class experts. Friendships and contacts established at HHL will long outlast your studies. 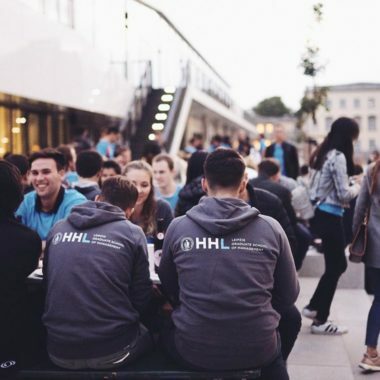 HHL alumni are active in over 70 countries, they are well connected, and they support each other and future graduates in a multitude of ways. And there’s more! Many of our over 2,500 alumni frequently return to campus to support the new HHL generation with their know-how and experience and often even recruit students from their alma mater. In vogue: Living and learning in Leipzig! Leipzig is open, international and vibrant. Located at the crossroads of historic European trade routes, Leipzig prides itself on its 1,000-year tradition of commercial vitality and its reputation as a meeting place for science and the arts. 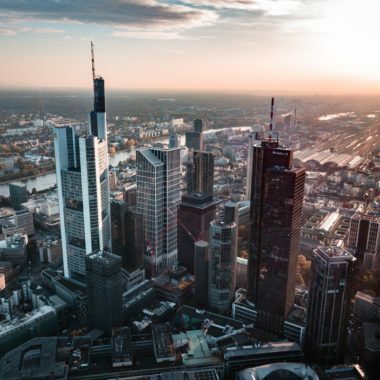 Beyond its modern infrastructure, what makes Germany’s fastest growing city so popular and dynamic is its rapidly expanding economy, housing world-famous brands such as Porsche, BMW, DHL and Amazon. HHL, the first “Handelshochschule” in German-speaking Europe, was established back in 1898 and therefore laid the foundation for Leipzig’s profound management education early on. Parks, cafés, bars, clubs and lakes invite you to enjoy a welcome break from your studies. Plus, Berlin, and all that it has to offer, is just one hour away. And the best of it all? Living expenses in Leipzig are affordable for students! 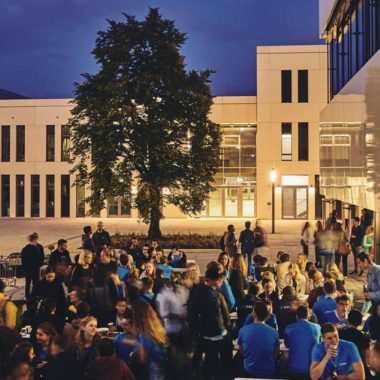 The campus: In the heart of Leipzig! The HHL campus is centrally located and, at the same time, surrounded by idyllic parks and rivers. You will experience an inspiring multicultural atmosphere and real campus flair. You also get to take advantage of the adjacent sports department of the University of Leipzig: As an HHL student you are eligible to use all of their sports facilities and to sign up for sports courses offered by the Leipzig University. And to accommodate a flexible study schedule, we grant our students access to HHL’s premises 24 hours a day, 7 days a week. You can use the library, the study areas and meeting rooms, the lounge and the Student Club any time you want! Intrigued? Please contact us – we would be delighted to show you around our campus in person! We look forward to meeting you! Start your management career now! Our M.Sc. student community is a carefully selected collegial network of motivated peers who will help you reach your full potential. For this reason, handpicking our students is very important to us. We not only take hard facts into consideration, such as bachelor grades or GMAT, but also your personality, your motivation and your ambition. Is HHL right for you? Are you right for us? Let’s find out together! We look forward to receiving your application. Please feel free to contact us with any possible questions about your application, we are happy to support you! * Earlier deadline for prospective students from non-EU countries, to allow time for visa processing. Please pay the application fee of EUR 100 by bank transfer. The application fee will be reimbursed after the start of the program. HHL prides itself on adding a personal touch to the admission process through its annual admission test days. In order to qualify for an admission test day, you need to have submitted the documents required to start your online application at least one week prior to the test date. After a close review of the submitted documents, you will be invited by the admissions office if your profile meets our expectations. Regarding the short presentation, the candidate receives two different topics of which one has to be chosen. One hour of preparation time is given. The library as well as the computer labs (with internet access) can be used for preparation. HHL’s Admissions Committee usually determines admission immediately on the Admission Test Day. The Committee consists of elected members of the HHL community and the examiners of the test day. If you are an international student, you might have some questions about formalities. Get more information about Formalities before Arrival and Formalities after Arrival in Germany. Master in Management: Education that pays off! The investment in a Master degree at HHL is definitely worth it. With an average starting salary of EUR 69,000, HHL graduates rank among the best-paid Master’s graduates! The tuition fees for the complete Master of Science in Management Program amount to EUR 27,000. This covers all tuition and examination costs and includes the tuition fees for the term abroad at one of our partner universities. And, of course, the fees do not have to be paid in one lump sum. You will pay your tuition fees in four instalments – spread out over two years. For further information, see our payment terms. One more important note: Your tuition fees are tax-deductible as an anticipated income-related expense. Check out our brochure on this for tips. Please contact your tax consultant for more information. Pay your tuition fees in installments! Of course, the tuition fees at HHL do not have to be paid in one lump sum. After having been admitted to HHL, you are required to pay a down payment of EUR 1,000. The remaining fees will be paid as follows: The first and second installments, amounting to EUR 7,000 each, are payable on October 1 and March 1 of the first study year. The third and fourth instalments, in the amount of EUR 6,000 each, are payable on September 1 and March 1 of the second study year. Additionally, we support you in financing your studies. Aside from our range of financing options, we award scholarships to outstanding and particularly driven applicants (for more information see below). How can you secure a scholarship? Convince us of your excellent record and your exceptional personality. Contact us to learn more, we will be happy to advise you! Any further questions? Please feel free to contact us any time! Are you curious about experiencing HHL for yourself? You are welcome to visit us on campus. Do not miss the opportunity to talk to our students or experience our professors in a lecture. Please feel free to contact us any time, we look forward to hearing from you! Any questions? I’m here for you!